You will also see the file with your user name, and password in the video. This can help if you forget these in the future since it might be the only way to log back into your WordPress blog again. This entry was posted in Blogging, Wordpress and tagged Database Error, Forgotten Password on June 5, 2015 by Admin. For reason unknown the makers of the WordPress Parallax Content Slider continue to not have an option in the user settings to change the font when it’s clearly too big for most people! They start that bad boy out at 66px! You can’t even see most your post title. It’s beyond ridiculous, and sad for such a cool free WordPress content slider! The method mentioned here works with the latest version as of January 2015 which is Version 0.9.8. Simply update the Plugin within Installed Plugins in your WordPress Dashboard. Since these Wizard Masters haven’t the foresight to give us the option to change the font in our Dashboard we’ll have to edit their style file. You will need open you site up with FTP software, a file manger, or whatever method you can to acquire your sites files. Then go to the folder containing your WordPress blog. Go to the Wp-Content folder, and then the Plugins folder. Within that folder click the WP-Parallax- Content-Slider folder. Finally go into the css folder, and copy the style.css file, Save one file on your desktop to edit, and another in a different folder as a back-up in case you mess up. If you have an online file manager you can edit that way as well. Change the font-size to 20px, or any number you’d like. Then save the file. Replace the style.css on your server with your edited Notepad file, and then refresh your blog to see if the title in the slider is smaller. You can continue to change the font-size number until you get the size you desire. You may also alter the font color. Again you can change font-size here to alter the size of the description font below the title in the slider along with the color as well. Then save your file to the server replacing the current style.css. Studying the style.css file further will aid in further altering the content slider to fit the needs of your website because God knows the folks down at WP Parallax Content Slider aren’t going to help you! 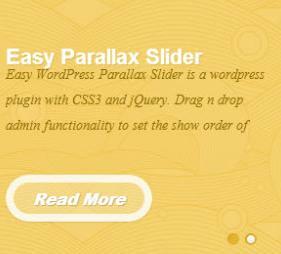 Congratulations you’ve defeated the idiocy of the WP Parallax Content Slider! 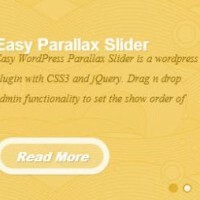 This entry was posted in Wordpress and tagged WP Parallax Content Slider on January 21, 2015 by Admin. At that point change the number next to font-size and px. Don’t touch anything else or you could mess up your blog. After you change the number press the Update File button at the bottom of the page. Then check your blog to see how the new font size looks. You might have to refresh your browser to see the changes take effect. If you don’t like the size then go back to repeat the above steps until things look right. This entry was posted in Blogging, Wordpress and tagged Font Size on January 3, 2015 by Admin. How To Stop Annoying OpenOffice Writer Date Auto-Correct! Copyright © 2005-2019 Web Hostess.Biz. All Rights Reserved.